A mix I did mainly to work on my timing for samples and “Music Composition” in general. I’m an amateur at this game so I’m looking for the cleanest instrumentals and vocals. Aretha Franklin’s song, “Baby, I Love You” has long been in my head as a song that has that kind of potential, and I’m sure someone in the world has sampled it. So I got busy with that and maybe, just maybe went a little too far with that sample from the back-up singers saying “baby.” Any as it turns out today is Aretha’s Birthday. So I’m putting up the track, rough, though it may be, in her honor. 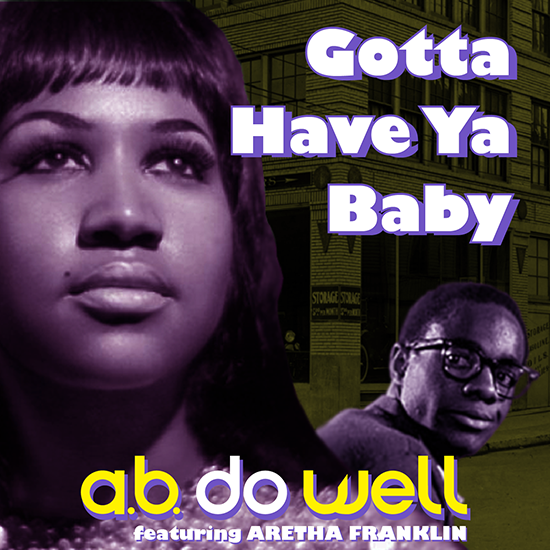 For the image I put together for this track I wanted to use young Aretha. I’m my search for an image I discovered she was once married to Glynn Turman, who you might know as Mayor Royce from the Wire, Col. Taylor from A Different World or that young playa, Preach, from Cooley High. With that information I found a pic from Cooley High and it was perfect, him looking over his shoulder with an expressive face. I went a little retro with the design. I like it and the track.